People from Amberdeen to Sioux Falls are experiencing one of the worst substance abuse crises in the history of the state of South Dakota as well as the entire country. If you have a substance use disorder or someone you love does, you may not know where to go for help. Fortunately, our hotline is always available for your calls. We can help you find safe, affordable, and local South Dakota detox centers where you can begin your recovery from a long-term or a recent addiction syndrome. Detox is often the first part of this process, and finding the right program is the best way to start it safely. Call 800-483-2193 now to find a detox program that will allow you to begin your recovery right. 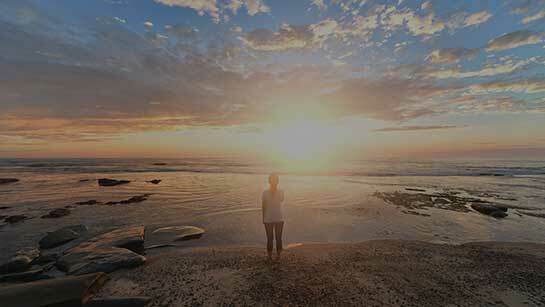 Why Choose South Dakota Detox Centers? People who try to detox at home or use drug detox kits often do not realize the dangers of these actions. For one, relapse is a very strong possibility during and after detox, and if you do not go through the process properly, it’s easy to fall back into old habits. Withdrawal from certain substances of abuse—especially alcohol—can be unpredictable. It’s better to be in a treatment facility where the slightest change in your detox won’t spell disaster. Many drugs cause withdrawal symptoms that are dangerous, even life-threatening. As such, it is better to go through the process in a safe environment. Those who do not go through professional detox often skip addiction treatment. This is an essential part of recovery and the best way to guard against relapse in the future. You should always detox in a professional facility, preferably a South Dakota detox center that will allow you to put an end to your dependence as easily and safely as possible. According to the South Dakota Legislature, between 2014 and 2015, arrests for drug offenses grew 20 percent in the state. Arrests for methamphetamine offenses grew 40 percent. The top three offenses among new commitment admissions to state prisons in 2016 were possession of a controlled substance, unauthorized ingestion of a controlled substance, and distribution of a controlled substance. According to the Substance Abuse and Mental Health Services Administration, South Dakota was among the 10 states with the lowest rates of marijuana use among adolescents between 2013 and 2014. Only 10 percent of those 12 and older in South Dakota were able to receive alcohol dependency treatment when needed between the years of 2009 and 2013 (SAMHSA). Only 14.8 percent of those who needed illicit drug treatment were able to receive the same in this same timeframe. How Long is South Dakota Alcohol Detox? If a person undergoes this syndrome, they will need to be sedated, as stated by the National Institute on Alcohol Abuse and Alcoholism. This can take time and the recovery can take quite a while as well. If you still have questions about South Dakota alcohol detox or you want to learn more about your treatment options, call 800-483-2193 now. How Long is South Dakota Drug Detox? Drug detox can take a different amount of time for each person, specifically because different drugs have different withdrawal timelines. In addition, someone who has been using multiple drugs will often need longer to detox. Opioid detox often takes about a week or two. Stimulant detox can take months. Benzodiazepine detox can take a week or two in most cases. Club drug detox can take anywhere from a week to a month. Marijuana detox usually takes about a month. Your timeline may differ depending on the severity of your dependence and a number of other factors. Make sure you discuss your treatment timeline with your doctor before you begin your recovery. It is often safest to choose inpatient care for South Dakota detox. Inpatient centers offer more intensive treatment. Inpatient centers are better for those with dual-diagnosis. Inpatient centers are safer for those who are afraid they will relapse during detox. Inpatient centers can offer you an added layer of community support. However, some individuals may choose outpatient detox, which can be effective if they have fewer complications and a support system of friends and family at home. Whichever you choose, make sure it is the program most suited to your needs. Everyone deserves a second chance at a life free from drug and alcohol dependence. You can begin to rebuild your life today when you find a South Dakota detox center that suits your recovery. Let us help you by calling 800-483-2193 now; we are always available to take your call and to assist you in finding effective detox facilities near you.